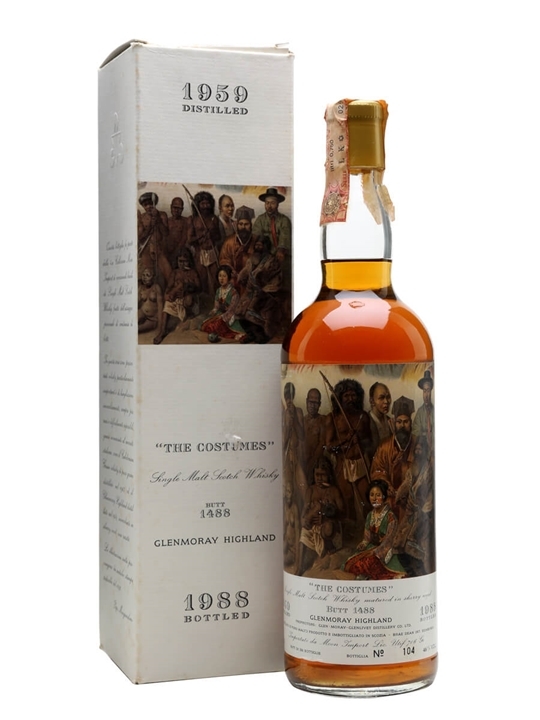 75cl / 46% / Moon Import – A 1959 Glen Moray released as part of the legendary ‘The Costumes’ series from Moon Import in 1988. 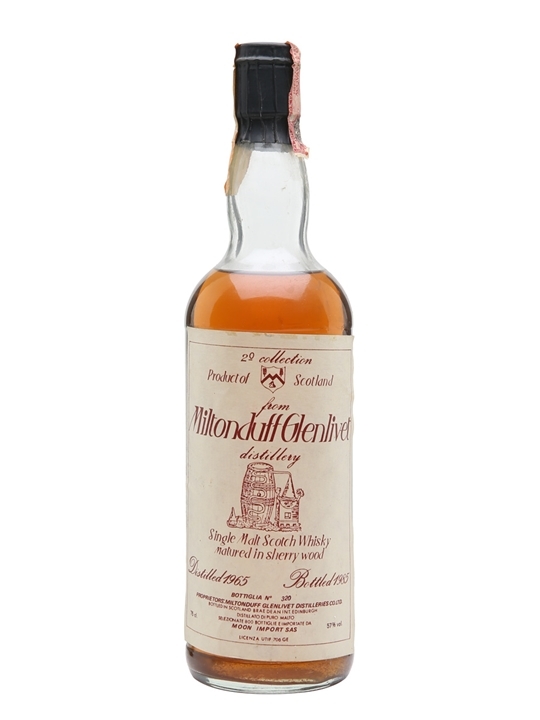 75cl / 46% / Moon Import – A ridiculously rare and hugely sought-after Moon Import bottling of Ardbeg 1966 bottled in the late 1980s. 1 bottle only. 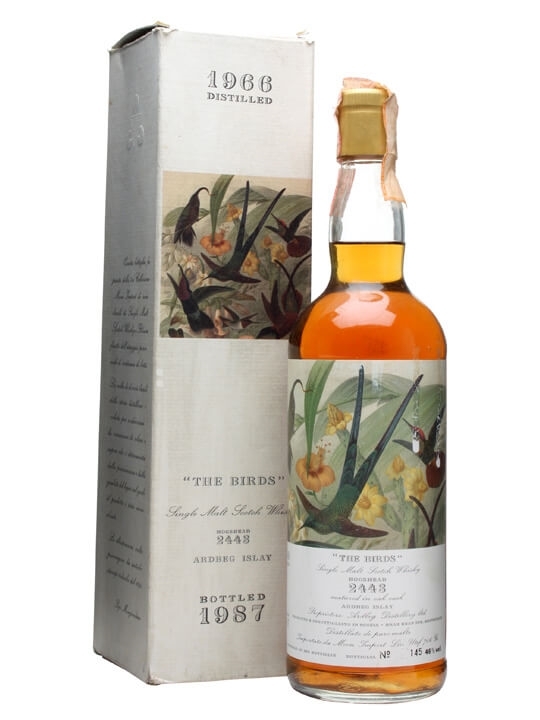 75cl / 57% / Moon Import – A rare 1980s bottling of the little-seen Miltonduff distillery. This is from the 1965 vintage and was bottled in the mid-1980s by Italian importer Moon after 20 years maturation in sherry casks.